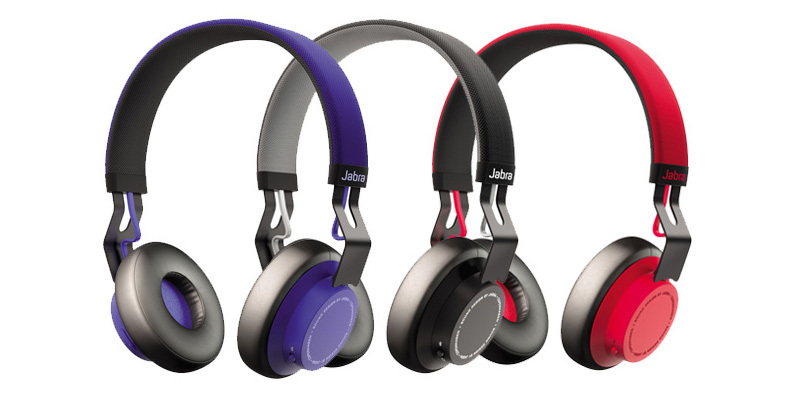 The Jabra Bluetooth headphones allow you to control music and calls directly from the headphones and are a lightweight and comfortable design, with adjustable headband to suit all head shapes and sizes. The headphones look good too, a clean Scandinavian design made with stainless steel arms and modern dirt-resistant fabric. But these headphones are not just good looking, they offer great performance too using Bluetooth for wireless connectivity and Jabra’s signature DSP (digital signal processing) delivers a crisp digital sound with awesome depth and clarity. The adjustable headband is specially designed for a more comfortable fit and durability, tested to withstand abuse, wear and tear for a long lifespan. The audio performance is powerful with a deep rich bass and crystal clear highs. In addition these headphones feature motion sensors that measure distance, pace, steps, cadence, and total calories burned. The sensors are designed to Work with the Jabra Sport Life app which is free. These P5 wireless headphones offer advanced drive unit technology and are constructed from high-quality materials. They also have Bluetooth audio streaming and are engineered to deliver a truly amazing sound experience due to a new drive unit design inspired by our Bowers & Wilkins Hi-Fi speakers, which redesign the suspension to leave the diaphragm dedicated to sound duties. The Bowers & Wilkins P5 uses the latest Bluetooth aptX streaming for the best possible sound and has a class-leading battery life of up to 17 hours of wireless listening with an LED light to let you know when a charge is needed. The headphones are light and comfortable, yet they deliver pristine sound thanks to advanced acoustics and they come with their own carry case. Harman Kardon have a great reputation for making great looking products and these Soho Wireless headphones do not disappoint. They look great in black, white, or brown ultra-soft leather with trendy stainless steel accents, plus they have a touch-sensitive surface offering controls for Play/Pause, Track Navigation, Volume and Call Answer/End. The right earcup also house a micro USB charging port, Bluetooth pairing button and 3.5mm audio jack for use with older wired devices. Bluetooth-enabled connectivity with NFC and 30mm drivers deliver amazing refined sound quality and the unique fold-flat function means the headphones will fit into the ultra-slim pouch supplied.